Question: I have a general question since we are new to high school. When do students take the PSAT? Do they tutor for this? I am not sure what the PSAT counts for, and I am not even sure my child is taking it this year. The PSAT is a standardized test created by the College Board, the same organization that creates the SAT and the AP exams. The PSAT is the “pre” SAT, and gives students a chance to take a practice SAT exam in a timed setting, just like the real SAT. Just like the SAT, the PSAT tests reading, writing, and math. It gives 2 scores: Reading/Writing and Math. Each test is scored on a scale that is appropriate for the student’s grade level. This gives the student an indication of where he is compared to his grade-level peers. The score is roughly the same as the SAT score: 200-800 for Reading/Writing and Math. Additionally, the PSAT/NMSQT is the test used to determine National Merit Scholars. Only juniors are eligible for this award, which is based entirely off the PSAT/NMSQT score. The PSAT is administered each year in October. The national test date for all PSAT exams in 2017 is Wednesday, October 11. Students receiving accommodations may have the test broken up into 2 or more days, and some students may qualify to take it on a different date altogether. Chances are, however, your student will take it on October 11. Pretty much all sophomores and juniors will take the PSAT during school hours. Some sophomores will take the PSAT 10, while some will take the actual PSAT/NMSQT. 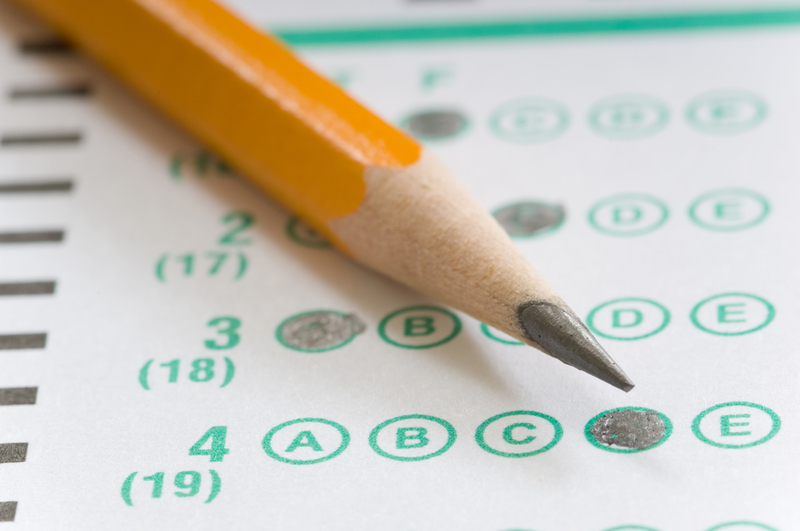 It’s up to the school and/or district to determine which test students take. Some schools are now administering the PSAT 8/9 to freshmen, although many schools still do not. Check your school’s calendar to see if the PSAT is listed on October 11. If you are unsure whether or not your student is taking the PSAT, contact your counselor asap. What does the PSAT count for? As I mentioned previously, the PSAT/NMSQT is the test used to determine National Merit Scholars. Based on scores, students can receive various levels of distinction. Winners of this award receive a big college scholarship, often times a full-ride. It’s a very prestigious award that only goes to the top 15,000 students in the country. The PSAT 8/9 and the PSAT 10 don’t count for anything. People may say it’s an important test, but really it isn’t. I do encourage students to take it seriously, however, because it gives them a first taste of the actual SAT, which can be a make or break test for college admissions. But there is no reason to stress about these tests. Should students study for the PSAT? The only time I suggest studying for the PSAT is if a student does exceptionally well on the PSAT as a 10th grader. If this is the case, I recommend doing a test-prep course the summer before 11th grade in order to do well on the PSAT/NMSQT. Doing well on this test may put him or her in the National Merit Scholar pool, and this distinction can help in college admissions. Other than this scenario, there is no reason to study for the PSAT. Can students receive accommodations on the PSAT? Yes! Students who regularly receive accommodations at school (504 or other IEP) may qualify for accommodations on the PSAT. While it may be too late to register for accommodations on this year’s PSAT, it’s good to get the ball rolling for future tests, including the PSAT, AP exams, and ACT. I hope this helps answer some questions about the PSAT. If you still have questions once you receive your student’s results, please contact me. I’m happy to explain. Good luck!